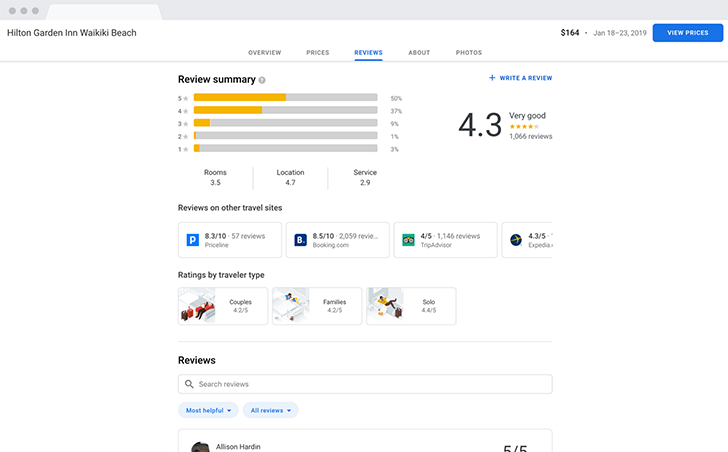 Google is making a real effort to enhance its travel features across a variety of platforms lately. 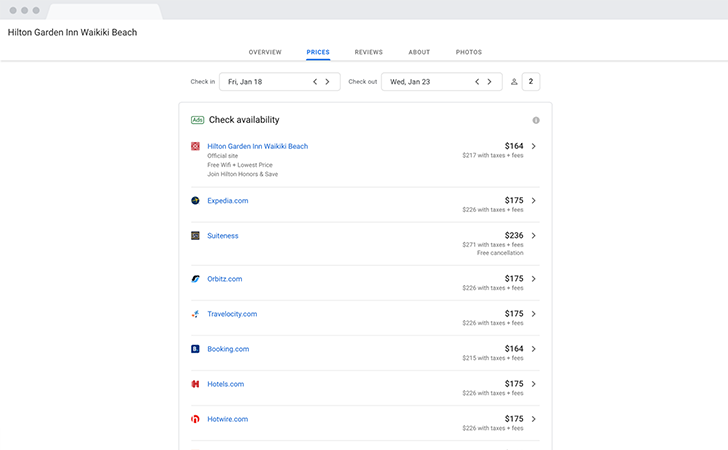 Over the past few months, the search giant updated Google Flights with new features for sussing out whether you're overpaying for airfare and hotels, added new tools in Search for planning upcoming trips, and overhauled hotel listings in Google Maps. 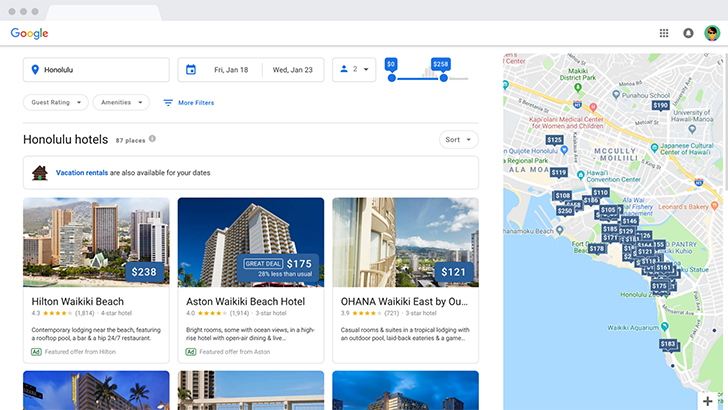 It's now continuing that trend with an update to hotel browsing on Search for desktop that takes after a mobile refresh from earlier this year. 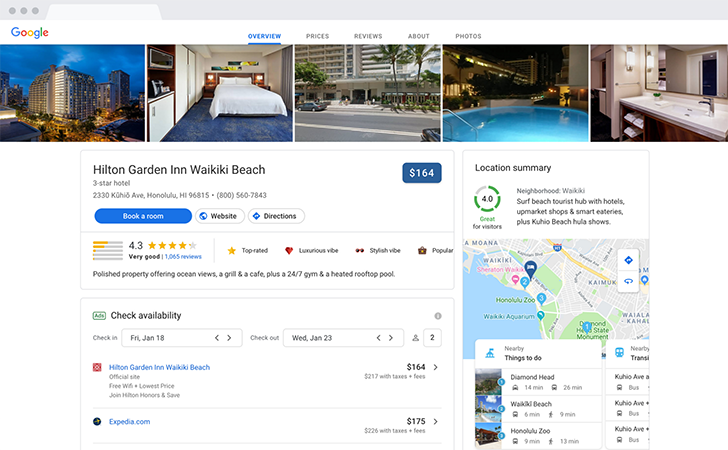 In February, Google overhauled its hotel search experience for mobile, adding the ability to book hotels directly from the search, better price filtering, and a design that more prominently showcased amenity information. 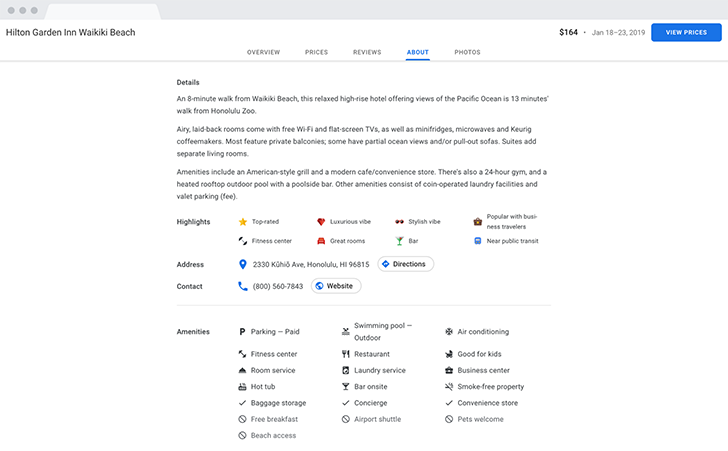 Google's desktop hotel search is now following suit. It's making the search experience far more substantive, with photos from both the hotel and fellow travelers, plus easier access to amenities and pricing. 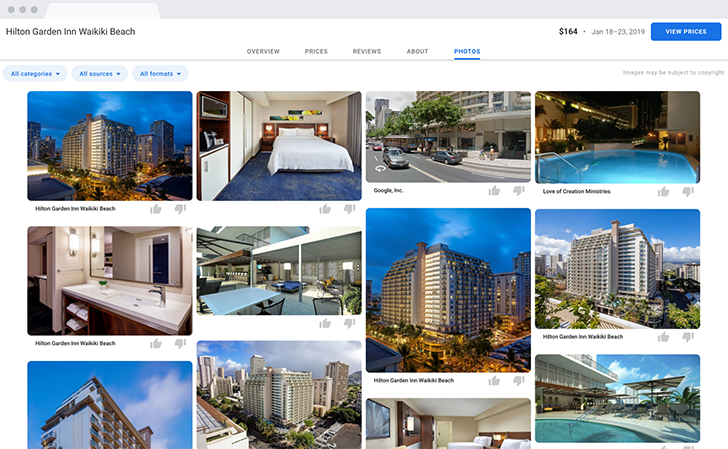 For instance, hotel reviews can now be filtered by keywords like "air conditioning." The changes, which you should start to see right away, will no doubt please frequent travelers. Yelp, on the other hand, would probably give this news one star.